All of the above duties can produce billable hours in accordance with your job description. Billable hours are those wherein the duties are more creative that those normally considered of a secretarial nature. While this is by no means meant to denigrate legal secretaries, who frequently earn a higher salary than a para legal and whose labor is highly valued by all in a legal firm, a secretary types the words of another (either hand written or dictated), while a paralegal creates documents based upon information gathered from the file or the client. 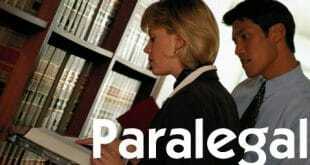 What differentiates a paralegal from the attorney, aside from the earnings, is in part the level of education. An attorney must have a bachelor’s degree, followed by 3 years of post graduate education. A paralegal, on the other hand, need only have six months of post-secondary education in order to be “certificated”. Further, an attorney is autonomous. Yes, attorneys and their offices serve at the pleasure of the Judges and courts. Other than courtroom proceedings, attorneys answer only to the Bar Association, their governing body. Paralegals, on the other hand, with very few exceptions, must work under the purview of an attorney. Attorneys utilize the services of paralegals in many ways. Some attorneys allow their paralegals to do everything but represent their clients in court. Others will only permit them to work a small step above a secretary. Paralegal careers may come in many forms. NALA offers certification for legal assistants ( Legal Assistant and Paralegal are synonymous. However, a legal assistant and a legal secretary are not the same. So legal assistant job description and legal secretary job description may differ ) through testing and continuing legal education. Certification in a field, such as family law or estates may well mean more salary, depending upon the attorney/practice. However, graduating as a certificated paralegal does not mean one is certified. It means only that the student has completed the necessary courses to receive a certificate. A person may also be accepted by NALA based upon their work history. Two years in a position wherein he or she conducted the duties of a paralegal may apply to NALA for certification. NALA’s Guidelines stipulate that “Proper utilization of the services of legal assistants contributes to the delivery of cost-effective and high quality legal assistance.” One benefit of utilizing paralegals in a law office is that it reduces the billable hours attorneys must expend on a case, thereby reducing the client’s cost. The paralegal must alert the client to his or her status as a paralegal, and make them cognizant of the fact that they have a choice of meeting with their attorney instead of his or her assistant. A paralegal must also be careful to never offer legal advice except with the specific direction of her managing attorney. That does not mean a client cannot be advised as to what would be an appropriate course of action. It means that the attorney must be consulted prior to the disbursal of such information. A well-trained paralegal will be current on recent legislative changes and case law. For example, in drafting a pretrial memorandum, and setting forth the number of days with which your client should be credited, it can make a difference of several hundred dollars per month in lost child support if you did not see the recent case of Hooper v. Hooper from the Tennessee Supreme Court, which set forth what it considers a more equitable and appropriate calculation of days of parenting time. NALA and the American Bar Association hold paralegals in high regard, and expect them to perform their duties ethically and professionally. Bar Association approved schools, either those offering certificates or degrees, will give an aspiring legal assistant the best start in his or her chosen paralegal career. A paralegal specialist is one that is not easily nailed down to a one page description–one size fits all–because paralegal positions will vary depending on the paralegal work and what area of law they practice in. But there are some basic duties that most paralegals should be prepared to perform. Duties for private sector paralegals range from more difficult tasks such as legal research to task more administrative in nature. These administrative functions include answering phones, coordinating events for firm employees, scheduling and arranging travel, writing correspondence, and tracking and organizing files. However, the duties do not include tasks that require a legal license, such as giving client’s legal advice or setting legal fees. Paralegals are involved in all areas in which their employer practices law, including interviewing clients. In the public sector, responsibilities of a paralegal is as broad as the number of state agencies that exist in each state. Litigation paralegals help manage files, complete research, and analyze evidence for hearings. These paralegals who work for the government may also research their agency’s policies and regulations. In community service areas, paralegals will have more direct contact with clients. Paralegals in this area will interview clients, conduct research, and prepare and file documents for the agencies underprivileged clients. 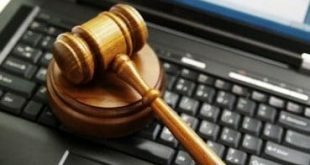 When preparing, researching and retrieving important information and documents for a trial, a paralegal will use many sophisticated computer programs to help sort out and retrieve the desired results for a hearing. The Internet and many software packages are available within the law office to help sort out data and organize legal literature that is stored in computer databases and on CD-ROM. Computer software also provides the ability for legal assistants to appropriately bill clients, scan imagery information into the computer’s database, and perform tax calculations and strategies. If you desire to become a paralegal, you may want to really hunker down and decide what type of paralegal you’re interested in pursuing. Although the basic legal assistant degree will provide hundreds of opportunities for you, identifying a specific area may help you to stand out from the pack. If this sounds interesting to you, or you’re looking for the next step into law, then becoming a paralegal may be the next step for your desired destination. This position isn’t easy, but it may well be worth it. Hopefully this guide will be a great start for you to fully understand what a legal assistant does on a daily basis.